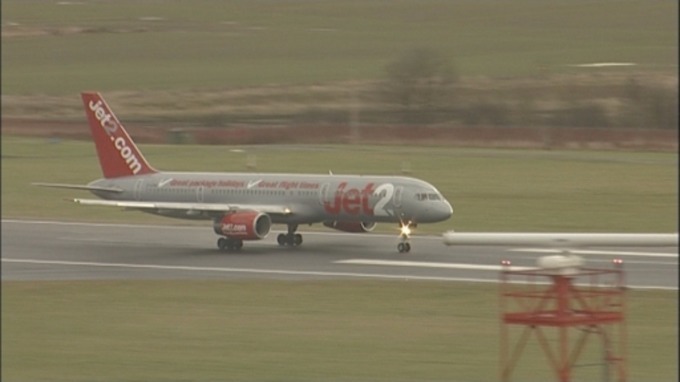 Sunderland's first team squad landed back at Ponteland airport yesterday afternoon. Sunderland's first team players returned to the UK yesterday after spending a week in Portugal. New boss Jack Ross has a big week ahead with the first pre-season friendlies of the summer taking place and some key positions in the squad still to be filled. The Black Cats spent last week at a training facility near the Portuguese city of Faro. The weather in the Algarve was similar to that we've been basking in back home. Youngsters including Max Stryjek and Bali Mumba were with the senior squad and Duncan Watmore also travelled with the squad as he continues his long road back to full fitness. The Sunderland players landed at Ponteland airport about an hour before yesterday's World Cup quarter final and will spend today relaxing before getting back to work tomorrow. The squad flew back with Jet2 and mingled with families and holidaymakers returning back to the UK before boarding a private bus to head off somewhere - probably to watch the England game. The Black Cats travel to Darlington on Tuesday and Hartlepool next Saturday as the pre-season warm up games get underway. Sunderland will send a full first team squad to both fixtures. The match at Darlo has been brought forward by 24-hours due to England's progress in the World Cup. The evening will be the first time a Sunderland side have played at Blackwell Meadows since the County Durham club moved to the sports ground. The last couple of friendlies against Darlington 1883 have been played at Bishop Auckland's Heritage Park. The trip to Hartlepool next weekend is notable for the fact Sunderland fans will be housed in the stand at Victoria Park which is to be named after former manager Neale Cooper. The family of the former 'Pools boss will be attending the fixture. A new strip and a new striker? The two games this week should be notable for the fact Sunderland will be wearing their new 2018-19 kit for the first time. The strip is due to be unveiled tomorrow. The Black Cats will have a host of new players on display including Dylan McGeouch, Alim Ozturk and Chris Maguire. New goalkeeper Jon McLaughlin is likely to be on display sporting the new 'keepers strip. Sunderland are still in need of bodies this summer with plenty of players still likely to be on their way before the transfer window closes in early August. Top of Jack Ross' shopping list will be a couple of front me. The Black Cats are still light on options up front with Josh Maja and Andrew Fletcher the only recognised strikers likely to be on display unless someone new arrives this week.